It will come as no surprise to those of you who have been following the blog that one of our favorite cookbooks is Charcuterie: The Craft of Salting, Smoking, and Curing , by Michael Ruhlman and Brian Polcyn. When we got the book it was like receiving a personal invitation into the world of magical meats transformed by salt and smoke. It is a comprehensive guide to the subject, easy enough for a beginner to use, and everything we have made from it thus far has been fantastic. These are a few of our favorite recipes from the book. If you click on a picture or recipe title, you can view a more detailed post on the subject. The first time we made homemade bacon it was a revelation. It looked beautiful, tasted even better, and wasn't at all hard to make. 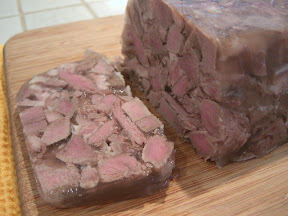 Not a cheese at all, but rather a pig-face terrine of sorts. Great stuff, whether served as a nice warm slice, or cold on toast. As an added bonus, the leftover gelatinous stock that you get as a byproduct makes a good base for a take on Pho'. This was the first recipe we ever made out of Charcuterie. It just requires a simple cure and can dry under conditions that do not require special equipment (or a cellar). 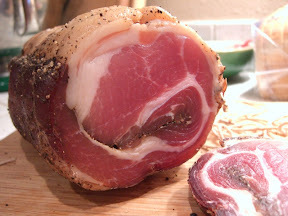 Making pancetta is a perfect way to get started curing your own meats. 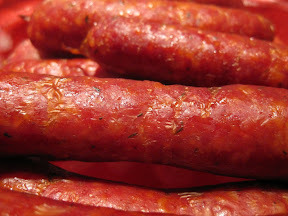 We have always loved making sausages, but these were our first ones cooked in the smoker and they remain one of our favorites. 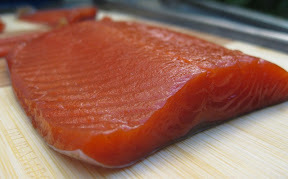 We've made both cold and hot-smoked salmon from recipes in the book and both have turned our really nicely. The cure has allspice, bay leaf, cloves and mace. Initially we were a bit skeptical of using such bold flavors, but paired with a mild smoke they work well. It all looks so wonderful [drool]. Thanks Rob! It really is a great book - highly recommended for anyone with an interest in the subject. I picked up Charcuterie about a month ago on the recommendation from Andrew at Slim Pickins'. Although I have yet to delve into it, the two of you both appear to have had great success! I can't wait to try my hand. Look so good! Great Job! Mike - definitely give it a try. I would recommend both Bacon and Pancetta as good places to start. I am happy to you all of them in a post together, it's easier for die-hard fans to find them. I finally took out my bacon and sausage photos, too. Now i have to try the pancetta, should be just ready after Easter (ours is on April 19th) and i have a couple of others marked. Hi Roxana - we enjoyed checking out your bacon and sausages. Good stuff! I'm looking forward to seeing your pancetta! This post is a treasure trove of ideas. Great stuff! 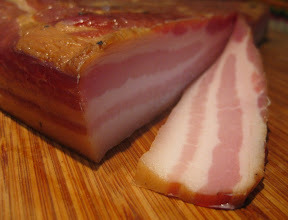 I've made my own bacon before, which has always been superb and very easy. not the sort of stuff you'd necessarily cut into rashers and fry with an egg, but excellent as lardons with some garlic and pasta. My next project is a black pudding, or maybe a continental blood sausage of some kind, but I'll give your pancetta a go too. Great site - thanks for the inspiration. Hi Rich - blood sausage sounds interesting. I read a good post on that topic recently over on Hunter Angler Gardener Cook that you might want to check out. Hey Mike, great site here that has provided wonderful learning. I have shared it with a number of other friends that have this passion who are equally gobsmacked. I am in the process of accquiring all the relevant equipment and bought a waring Pro meatgrinder and sausgae stuffer at the weekend. Most of the other stuff is easy to get as Toronto has a large community with a a European background and in particular a large Italian community. Anyway a major request on the Johnson Controls Refrigertaor Thermometer. Its very difficult to get hold of here in Toronto and even more so because I dont have a model or parts number. I spent a lot of time today on the Johnson Controls phone carousel between Canada and teh US with no success. I have someone that can likley get this for me ( a contractor); but he requires a model number. If you can share that info from your equipment that would be quite wonderful. From looking at the unit, I think the part number is "A19AAT-2". Hey Mike many kind thanks. Tried to obtain this locally through a contractor and the price was exorbitant (C$188.00). Most of the US websites that have it do not ship to Canada; but after much searching, I managed to get one with shipping for US$85.00 from Adventures in Brewing. Northern Brewer only ships to US addresses. 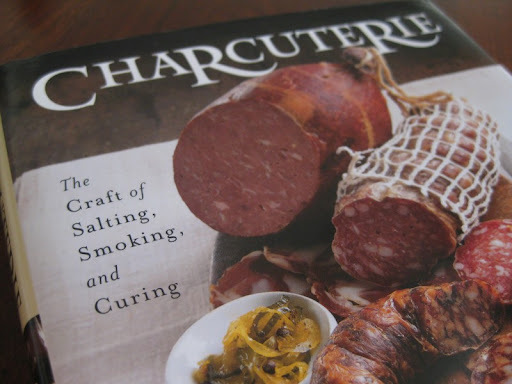 Bought the Charcuterie cookbook and another by Bruce Aidell on Sausgae making. Next week I get to purchase my supplies (casings, spices and cures) from Canada Compound here in Toronto which has a retail outlet. That leaves the compact fridge and then I think I am ready to rock n roll. I have a number of mates who also consider your site a most excellent find. My many thanks to you and your partner. We also have the Bruce Aidells book, but we haven't used it that much. Another book I recommend is "Great Sausage Recipes and Meat Curing" by Rytek Kutas. Lots of good information there. Good luck with your first batch!